Combine the first three ingredients with a hand blender, then add almond flour, baking powder, baking soda, vanilla and salt and mix just until combined. 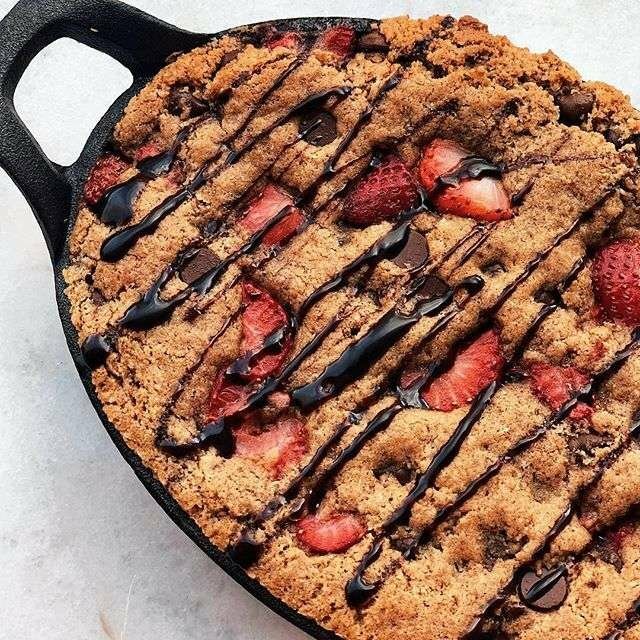 Fold in fresh chopped strawberries and dark chocolate chips. Pour and spread in a medium sized cast iron. Bake at 350F for about 20 min. Drizzle with more dark chocolate and serve warm. IS YOUR MOUTH WATERING AS MUCH AS OURS?